Save 15% @ Big Fish Golf Course. Stay at Grand Pines Motel! Love the great outdoors? This is where you want to be. Any time of year, there are always activities to do. In summer, mountain biking and hiking miles of trails, swimming, lounging on a private beach, fishing, water skiing, boating Round Lake on a pontoon and golfing nearby courses are all possible. In winter, cross country ski world class trails, snowshoe through winter landscapes, snowmobile miles of groomed trails and ice fish the quiet waters of Round Lake with one of our guides. Love boutique shops and world class events? Stay here and experience Hayward, Wisconsin. Explore Hayward’s historic downtown filled with eclectic shops, boutiques and coffee shops. Savor mouthwatering BBQ at The Original Famous Dave’s Restaurant and sample Hayward’s brew pubs, wine tastings, and other family restaurants. Discover the National Freshwater Fishing Hall of Fame, try your luck at the LCO Casino or take the kids to the animal park. Watch the start of the legendary American Birkebeiner or soak up vibrant fall colors. Or just slow down and dip your toes in the lake. 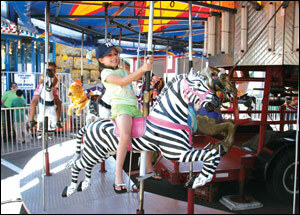 There’s always something to do here at Grand Pines Motel! LCO Casino is located only 3 miles from the motel. Enjoy hundreds of the latest slots, table games such as blackjack and roulette, and bingo at the LCO Casino. With over 600 great slot games featuring denominations ranging from 1¢ to $5 a spin, you’re sure to find your lucky machine. After a successful time at the casino, savor your success and enjoy a relaxing night at Grand Pines Motel! 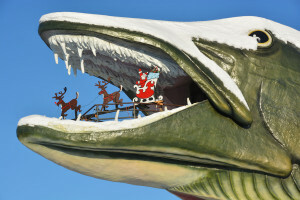 Hayward, Wisconsin has a great mix of shops including antiques, flea market treasures, fine jewelry, Native American arts and crafts, leather goods, clothing, Celtic giftware, home and garden furnishings and accessories, books, novelty items, as well as items for the boating enthusiast and sportsman. After a day shopping the stores in Hayward’s historic downtown, come back to beautiful Round Lake and enjoy a relaxing night at Grand Pines Motel! 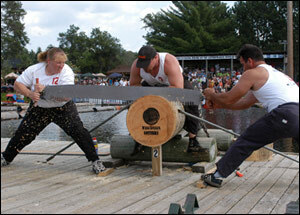 The Hayward Lakes Area of Northern Wisconsin is legendary in the fishing world. Home to the National Freshwater Fishing Hall of Fame generations of fishermen have come to Hayward to enjoy some of the best fishing in the Midwest! 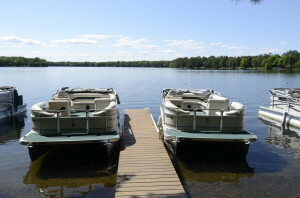 With docking available on Little Round Lake, Grand Pines Motel makes a great fishing camp for anglers seeking electric smallmouth bass action and fun pan fishing in the clear waters. 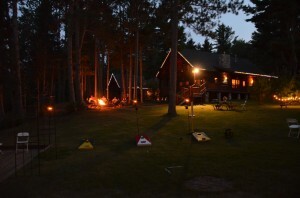 With hundreds of lakes – including the Chippewa Flowage where the world record musky was caught – only minutes away, fishing guide services, and lakeshore lodging, Grand Pines Motel is a perfect for Northern Wisconsin fishing vacations. Speaking of blue ribbon experiences, fly fishing the rivers and lakes surrounding Hayward, Wisconsin is quickly becoming a popular past time for fly fishing fans. 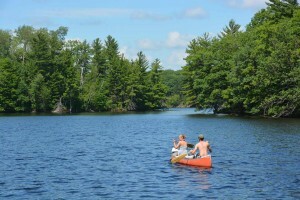 The Namekagon River & Brule River are famous fly fishing rivers for trout. A real explosion in the popularity of fly fishing for bass, pike and muskies has occurred right here in the Hayward Area. 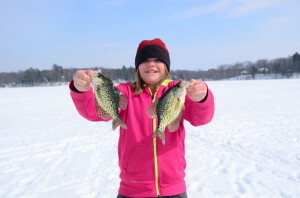 Whether drifting the Chippewa, Namekagon or Flambeau Rivers or casting from the end of your dock on Round Lake, Hayward is a popular fly fishing vacation destination. Want to learn? Grand Pines Motel hosts fly fishing classes put on by the experienced teachers and guides at the Hayward Fly Fishing Company. Snowmobile right from the front door of your comfortable room at Grand Pines Motel. 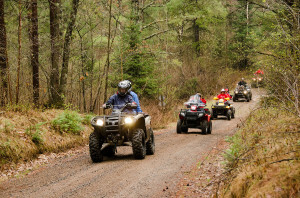 With rooms available right on Sawyer County snowmobile trail #29, we invite you to visit Hayward, WI for some of the best snowmobiling trails in the Midwest! 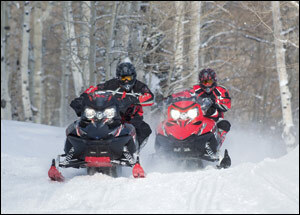 Ride from your front door and snowmobile on hundreds of miles of well groomed trails. Grand Pines Motel serves as a convenient hub for the Sawyer County trail system. 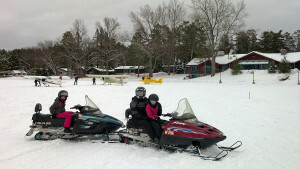 Trails lead in all directions offering unlimited choices for snowmobiling a real Wisconsin winter playground. 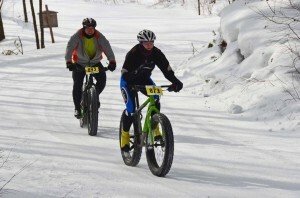 Hayward, Wisconsin – the home of one of the largest cross-country ski races in North America, the American Birkebeiner – has some of the best ski trails in the entire Midwest. Grand Pines Motel is only a short drive from the Birkie Ski Trail and other well groomed x-c ski trails in the Hayward Area. 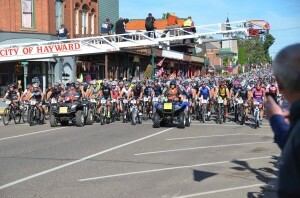 Hayward, Wisconsin is becoming known as “The Mountain Bike Capital of the Midwest”. 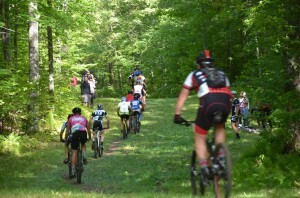 The CAMBA off-road bike trail system is the premier system of mountain bike trails in the Midwest. With over 300 miles of marked and mapped routes through a near-wilderness area of striking beauty and peaceful solitude, you can enjoy an exhilarating day of mountain biking and enjoy restful evenings back at Grand Pines Motel. 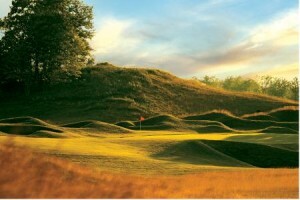 The Hayward/Cable Area of Northwest Wisconsin has been deemed “The Golf Capital of Wisconsin”. With over 10 golf courses within a 25-mile drive of Hayward, Grand Pines Motel makes a great golf vacation getaway. With a wide variety of choices for all skill levels, you can play a quick round or be challenged with a championship course. 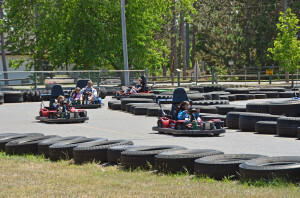 Grand Pines Motel is a great destination for group golf outings and events. 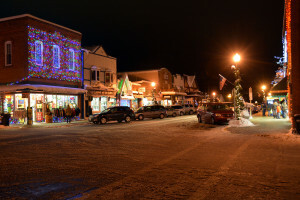 Hayward is also known for its many world-class events, such as, the American Birkebeiner, Hayward, Wisconsin Musky Festival, Lumberjack World Championships and the Chequamegon Fat Tire Festival just to name a few. 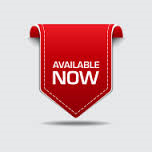 To learn more about all that Hayward, Wisconsin has to offer please visit our local area Chamber of Commerce in town on Hwy 63 or click here…http://haywardareachamber.com/.